How to fail successfully. Management student Nadya tells us about her experience of job hunting. 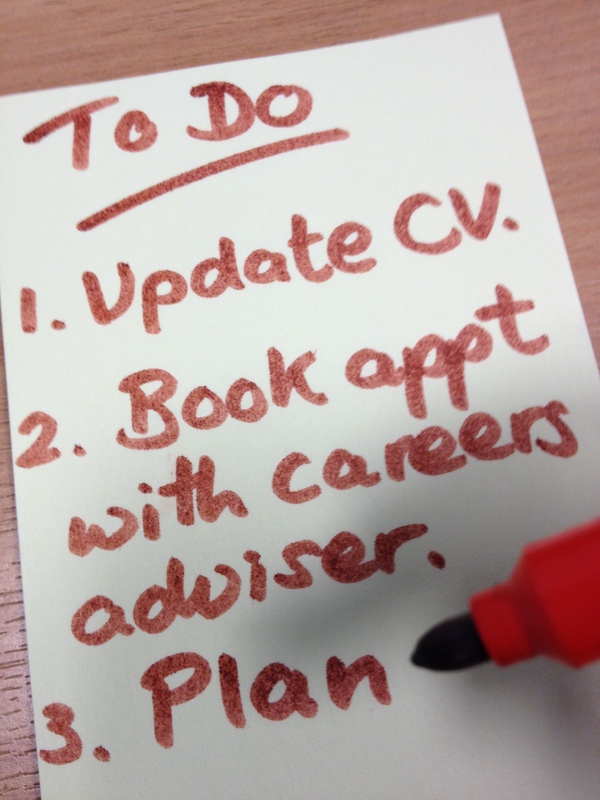 Next post: Advice for getting a Christmas job – UoM student Beckie shares her insider tips. b) you’re absolutely lost in terms of job titles and roles and what you actually like to do as a career, and …. c) there’s the pressure from everywhere to get down on those applications so you can essentially land a job. An everyday experience for people like us! I’m a third year Management student and am currently working on graduate scheme applications. It’s not an easy task, I can tell, being bombarded from everywhere by various employers and it’s certainly even more nerve-wrecking knowing how many people are actually going to apply and what kind of experience they’ll have. That should not put you down though. Especially if you know how to fail. The worst strategy for job hunting! Last academic year I did try to get a summer internship. Experience I believed would be of great value for my future aspirations and after applying to 20+ companies, I was still met by the same email or phone call, beginning with ‘Unfortunately’. I asked myself why? Then I realised that I didn’t really care why they hadn’t chosen me. Because I didn’t chose them in the first place. No, I was simply in front of my computer, googling summer internship, knowing a few companies from campus meetings and graduate fairs. However, I wasn’t keen on working for them but rather more into the experience I’d get. Now it’s not easy to cope with rejection coming from a perspective employer, but it is not certainly the end of the world as well. Essentially, what I gained from my failure was far more important than the experience had I gotten the internship. Because I realized that none of the companies I applied for were actually the ones I would like to work for. To be successful in the recruitment process you need to be interested in the companies and of course, have the right skills. Get on LinkedIn, Twitter, Tumblr – and then actually use these accounts. Do you remember the last article you read? Share it. Two-thirds of the recruiters make decisions based on your online-self so don’t be afraid to share, post and comment. That will only show your genuine interest in the industry you want to work in. Follow the companies online, communicate with them. Social media is about engagement so make sure you use this resource to its fullest. If you end up like me with no summer internship, do something with your free time. You can learn a new language at the University’s Language Centre or alternatively, do it online – there’s a very friendly and engaging platform (www.duolingo.com) that can help you with that. Alternatively, learn to code – a top skill for most recruiters. Even if your job does not require you to use computer language, having such a skill will only be of privilege. You can again look for courses around the city you’re based in or go online. I am particularly a fan of www.lynda.com – it’s got a great variety of programming languages. Do your research before you start your application – know about the job role, know about the industry, and know about the company. Then, ask yourself, ‘Is this what I want to do?’ If the answer is yes, proceed with the application process. If you fall on the other side, keep looking for what will essentially be your dream job. Because even though it’s not nice to receive a rejection, it is certainly worse to work for a company or in an industry that you didn’t want to end up in the first place. Spring insights, internships, graduate schemes, placements – it’s not rocket science to be successful at one of these. For some, it’s extremely easy, whereas for others it might be slightly more complicated. However, these exist to give you one thing – experience – and you should always make sure you get the most out of it, whether you get a ‘Yes’ or a ‘No’ keep trying.